The iPhone SE 2 may not be among the lineup when Apple unveils its latest range of smartphones later this year. This is according to a Forbes report, which revealed that accessory manufacturer Olixar has begun producing its cases and other accoutrements for the new devices and they do not include anything for the SE 2. Forbes also revealed that Mac Otakara, the site that broke the news Apple would be removing the headphone jack from its iPhone 7, has obtained dummy units of the three upcoming phones for this year. The site’s revelations also included the fact Apple would not be producing a bezel-free design in at least one of its new devices. Debuting with last year’s iPhone X, the all-screen appearance has proved a popular one, with most smartphone manufacturers delivering that look with their own devices following the iPhone’s release. However, it took Apple many years to arrive at that point. 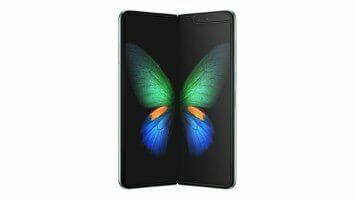 The company had faced criticism for not changing the design of its smartphones for years, with competitors like Samsung delivering updated and attractive devices that were not simply based on the previous year’s look. According to Forbes, Apple will be producing a budget device with thicker bezels later this year. Forbes contributor Gordon Kelly said it “looks particularly odd on the sides of the device and makes it look like it’s in a case”. The reason for producing “such a chunky version of its already iconic design” is down to the use of cheaper LCD display panels, rather than the pricier OLED ones that will likely be used in Apple’s high-end device. T3.com revealed that this year will see “a refreshed 5.8-inch OLED iPhone X, which comes in at 1.1 mm wider, a brand new 6.4-inch OLED iPhone X Plus with near identical size to the iPhone 8 Plus, and finally an affordable 6-inch LCD iPhone X”. Kelly explained that these panels are flexible, which can allow them to bend around the bottom of the display. This means the chunky display connector, which normally hides a thicker bottom bezel, can be moved to the back of the device. He added that this is expensive, which is the reason “even OLED-based Android rivals haven’t copied this technology”. 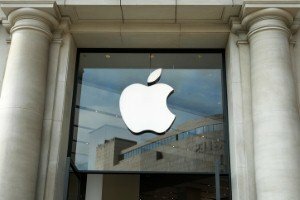 Whether Apple can produce a range of smartphones that will get experts talking – and consumers buying – in the same way the iPhone X did remains to be seen, but there is no doubt the company will receive plenty of attention when the new devices are unveiled.